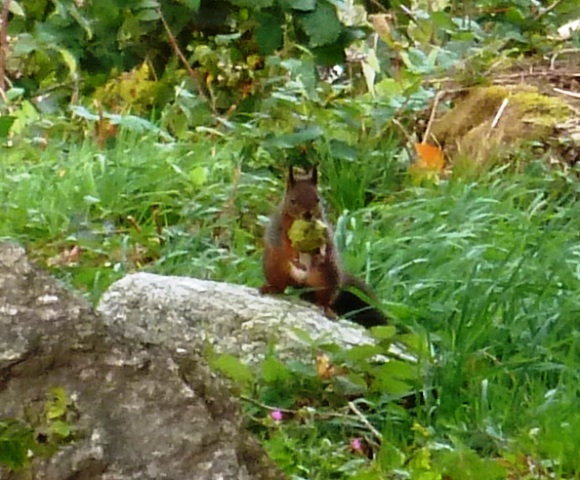 Having read various articles about red squirrels before writing this, I think this blog should actually be called; when is a red squirrel black? Throughout France there have been many sightings of what look like black squirrels, causing much confusion amongst those of us who have spotted them. Red squirrels can in fact range in colour from the bronze-red we all associate with them through to an almost black colour, especially in late season when their fur darkens. Whatever their colour, they are easily recognisable thanks to their white chests, ear tufts and long fluffy tails. 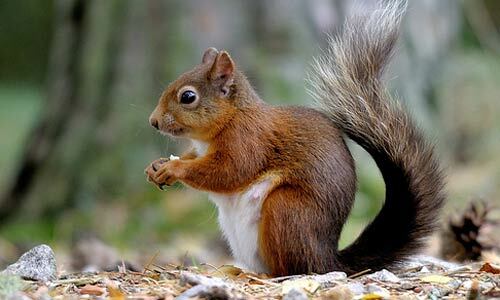 Red squirrels grow to be up to 24cm tall, and on average live for 5-6 years. Prominent throughout France, red squirrels can be found living in both conifer and broad-leaved woodland at altitudes up to 2000m. Red squirrels are primarily seed eaters, favouring spruce and pine seeds, but they also eat berries, acorns, nuts and fungi. 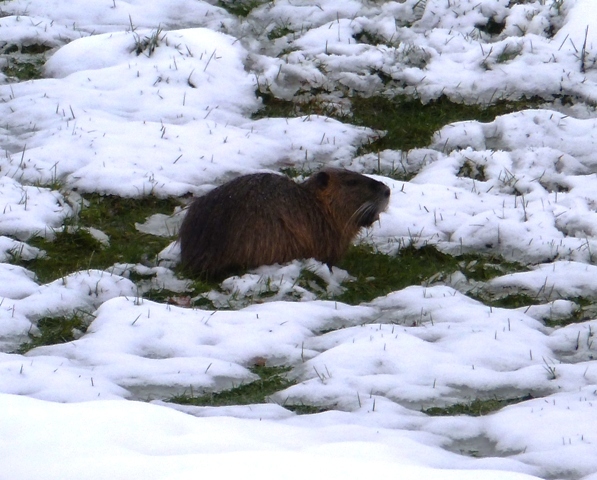 In autumn they can be seen storing surplus food either in the ground or in gaps in trees. 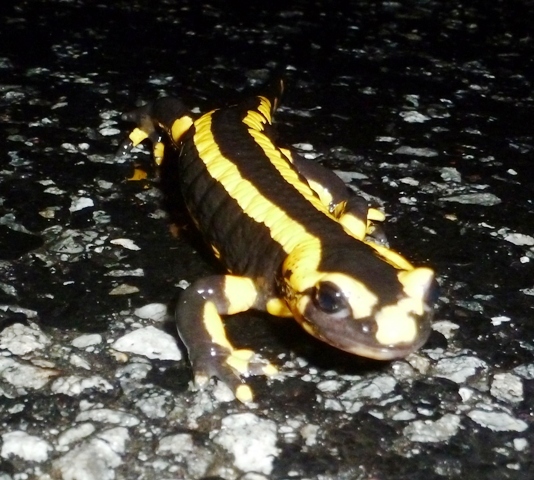 We caught the little fellow below with his hands full in our back garden late last week! Red squirrels are usually solitary but do like being social with each other and related squirrels will often share dreys during wintertime to keep each other warm. In spring females produce litters of 2-3 kittens, and can often have a second litter in summer. Red squirrels have been protected here in France for 30 years, and although more commonly seen here than in the UK, their numbers in France are also declining. For more information on red squirrels in France and how you can help protect them check out this website http://ecureuils.mnhn.fr/. 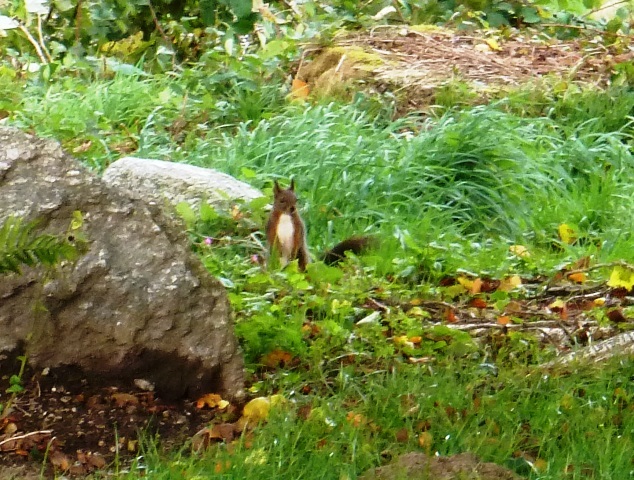 Please also take the time to complete their questionnaire if you have red squirrels near your home, I have!